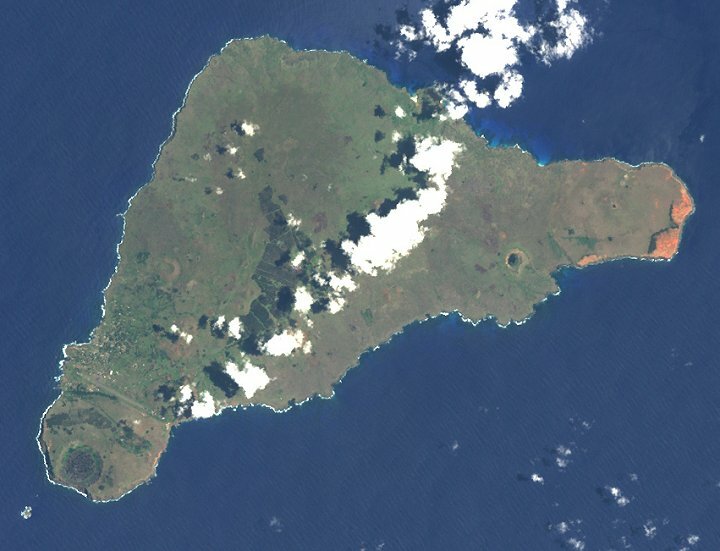 A satellite shot of Easter Island. One day Tuffy P said, hey let's go to Easter Island. I said, well, what if we go all that way and don't like the heads? Reminds me of an 'ink blot' test. Is this near where all those penguins were found dead? 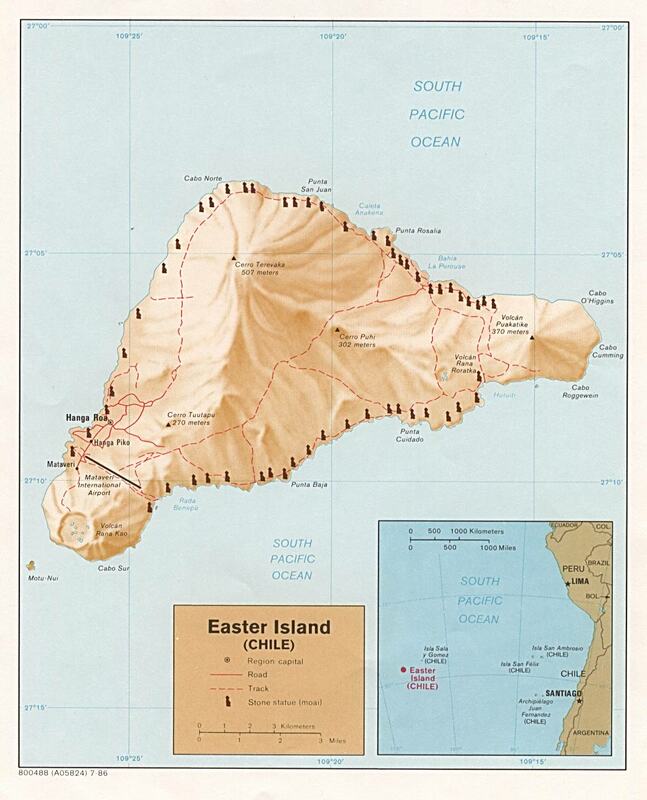 Why does the island have that interesting triangular shape? Anyone noticed how unusual is that? It's easy to believe in 'new inventions' these days...it's harder to believe in those that have surpassed. Real hard to believe in God, yet easier than believing in anything man made, or anything Else. Just spells dog backwards, 'cause no matter what we are simple. Simon said so, and might as well admit we'll never know, that's why we need to find out what is fact and label so much. Sure is a lot easier and less stressful just to believe. Sure liked that that song that James Brown Sang shortly before he passed I thought it was as amazing as grace.